Ghost card payments | What is a ghost charge and how does it work? Ghost card payments can help to streamline the purchasing process at your company while allowing you to track expenses by each department. These payments are made with virtual credit card numbers that are assigned by you to the different departments. When employees use the numbers to purchase items for your company, the purchases are charged back to the individual departments. The U.S. business economy continues to do well. In the third quarter of 2018, the U.S. Bureau of Economic Analysis reported that the gross domestic product increased by 3.5 percent. Businesses everywhere are enjoying robust growth, making it crucial for companies to keep track of their expenses as their businesses expand. 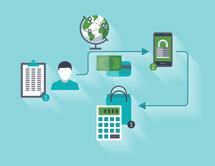 Who benefits from making ghost card payments? Mid- to large-sized companies can benefit by switching to ghost card payments from other purchasing methods. A ghost card for payments can be assigned by you to individual departments. Everyone who works within the department to which a card number is assigned can use it to make ghost charges. Ghost cards make it simpler for you to assign certain purchases to different departments. You can also choose to issue ghost card numbers to specific suppliers that can charge the numbers for all the purchases that certain departments make. Ghost card payments can also be restricted, and the cards have controls that can prevent employee misuse. Ghost card payments are accepted by vendors and suppliers that accept payments by credit or debit card. Ghost cards may be branded as Visa, Discover, Mastercard, or American Express and may be accepted by any merchant that accepts those cards. The cards are not plastic. Instead, they are virtual credit card numbers that represent your existing credit card account or deposit account. Employees who make ghost charges are not able to use the numbers to access your accounts or your money. Since they are virtual numbers, they are primarily used to make remote purchases over the internet, via fax, or by telephone. Are ghost cards credit or debit cards? Ghost cards can either be credit cards or debit cards. If you use ghost credit cards, the numbers that you assign to different departments or to select suppliers will route the charges through to your company’s credit card. If your ghost cards are debit cards, the ghost charges will be routed through the departments back through your deposit account. The purchases will be subtracted from your balance. Some ghost debit cards are reloadable, allowing you to choose how much money to make available on each assigned ghost number. You can then simply transfer funds from your deposit account to the ghost cards electronically. Ghost cards have controls that are customizable by your company. You can use the available controls to do such things as to set and enforce monthly, daily, or weekly spending limits. You can also limit single-purchase amounts and prevent cash withdrawals. 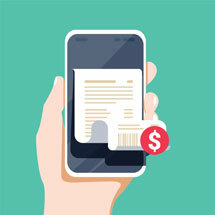 Ghost card payments allow you to get rid of reimbursements, petty cash, and check writing processes. Each of these types of purchasing systems is frequently targeted for internal fraud. Finally, hackers will not be able to trace the ghost card number back to the underlying account or to your company, giving you an added layer of protection. How are ghost cards different from corporate cards? A ghost card for payments differs from a corporate card in several important ways. Corporate cards are plastic credit cards that may be given to specific employees. The cards may be used to make preapproved purchases and are often given to employees to use for travel. Purchases made using corporate cards are added to the company’s revolving line of credit and may incur interest charges. Ghost card payments are made using virtual credit card numbers. The employees are not given individual plastic cards to take with them. Instead, they can use the number that is assigned to their department to charge preapproved purchases back to the department. Ghost card payments are much more secure than corporate card payments. What are procurement cards and virtual cards? Procurement cards are another type of business card that can be assigned to make preapproved purchases. These cards are given to a select group of employees who are then able to use them to make purchases for a set duration or on an ongoing basis. Procurement cards may be plastic or virtual, and they function like charge cards. You cannot carry a balance from month to month on a procurement card. Virtual cards are randomly created virtual card numbers and CVV codes that can be used to make one-off purchases. Once the numbers are used, they no longer work. This makes them a good choice if you are planning to make a purchase of a single item over the internet or from an unproven vendor. A ghost card for payments can either be a ghost debit card or a ghost credit card. 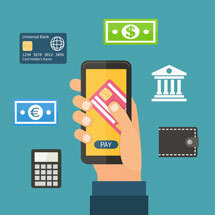 Making ghost card payments with ghost debit cards may offer several advantages. Ghost charges that are made with ghost debit cards are charged back to the individual departments, and the purchase amounts are subtracted from your account balances. You will not be charged interest when you use ghost debit cards. They are not credit cards, and you will not have to submit to a credit check. Ghost card payments that are made with ghost credit cards can incur interest if you do not repay the balance in full every month. To get a ghost credit card, you will first need to apply for a corporate credit card and generate the virtual numbers to represent that account. Corporate and business credit cards are not protected under the Card Act of 2009 and may charge high annual fees. 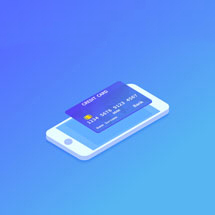 Some card-issuing companies allow their customers to access their ghost card APIs so that they can instantly generate the ghost card numbers and have the cards activated within minutes. Having access to a strong ghost card API can also help you to create a more customized accounts payable solution. A developer can use the API documents to create code that can integrate with the applications that you have. This can allow you to automate your accounts payable processes such as invoice processing and data entry. The transaction data from a ghost card for payments can be imported automatically, helping to prevent potentially costly errors and to stop fraud. Ghost cards can be used as many times as you wish. You can set ghost card numbers to be used by a department to make a single purchase, or you can assign the numbers to the various departments in your company to be used to make ongoing purchases over time. Your ability to instantly generate virtual numbers to use for ghost card payments can allow you to set the numbers to expire whenever you want and to assign new numbers to your departments. Ghost card numbers can also be issued to specific suppliers, and you can turn them off between purchases. A key benefit of using ghost card payments within your business is that you will enjoy improved expense tracking. You can restrict each number that you assign to different departments to specific vendor codes. The employees in the department can charge authorized purchases to the ghost card for their department, and all of the charges made with the number can be tracked by the department. This can help you to see how the money is being spent across your company, and the transaction data can upload into the correct expense categories in your accounting program. What features are important in a ghost card payment service? When you are looking for ghost card payments services, there are several features that you should expect. You should look for a company that offers a robust API that allows integration with your company’s proprietary applications. A good ghost card payments service should also allow you to set spending limits and controls on each card so that you can prevent unauthorized purchases. You should be able to generate as many numbers as you need instantly and be able to use them within minutes. Ghost cards are offered by card issuers as a courtesy to their business customers. You can find ghost cards by researching business and corporate card companies online and by reading reviews. It is important for you to compare the different companies and to choose one that offers extensive controls and expense management features. You will also want to make certain that other customers have had good experiences with the company and that it has a strong reputation in the business community. Bento for Business offers both a Visa business debit cards and a ghost card API that is scalable and has substantial controls and expense management features. You can set different restrictions on each number that you generate and control how they are used, where they can be used, and how much your employees can spend. For example, if you own a chain of restaurants, you can assign a ghost card to each individual restaurant in your chain. The restaurant managers can use the cards to place food and beverage orders from your preferred suppliers. This can help you to track food costs by each restaurant and to measure their performance. You can turn the cards off or on remotely and set weekly or monthly spending limits to make certain that they stay within your budget. Bento for Business has established itself as a leader in the business payments arena. The company offers business debit card, virtual card, procurement card, and ghost card for payments solutions to meet the needs of businesses of all sizes. Bento’s cards are Visas, so they can be used to make purchases from any merchant that accepts Visa. The cards are debit cards and will not require credit checks, and there are no interest charges or high annual fees. Bento offers a powerful ghost card API that can be used to create custom accounts payable solutions. There are several affordable packages that are available. Small businesses can order up to 10 cards for just $29 per month. If you have a large company that spends more than $20,000 on your cards, they will be free of charge. You can try the cards for free for 60 days or request a demonstration. To learn more, call 866.220.8455.